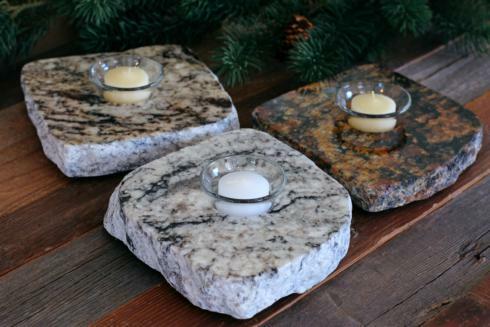 Everything we make is from reclaimed stone and is handcrafted in Salida, CO. All that we reclaim, we divert from the landfill and repurpose into beautiful home decor and household items such as serving trays, platters, cutting boards, lazy susans, sushi trays, candle holders and business card holders - known as Serving Slabs. With each item rough ...... Read More Everything we make is from reclaimed stone and is handcrafted in Salida, CO. All that we reclaim, we divert from the landfill and repurpose into beautiful home decor and household items such as serving trays, platters, cutting boards, lazy susans, sushi trays, candle holders and business card holders - known as Serving Slabs. 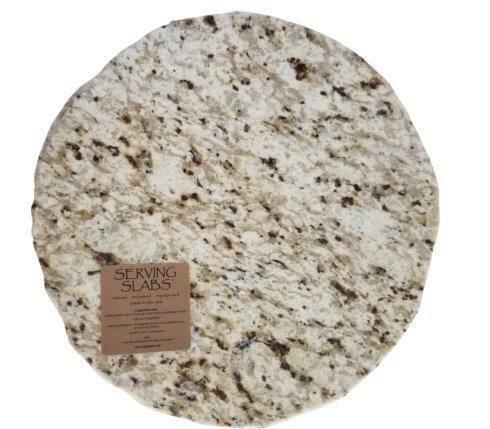 With each item rough chiseled and a variety of different colors and graining, no two pieces are alike and each have a unique shape usually determined by the natural characteristics of the stone. 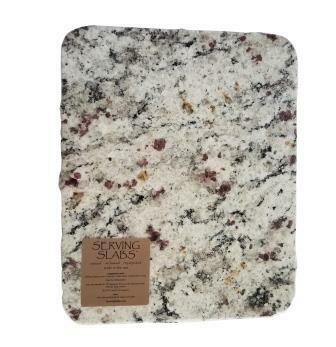 Serving Slabs was originally created by Derrick Neikam to make gifts for friends and family. Shortly there after a real business sprouted up. 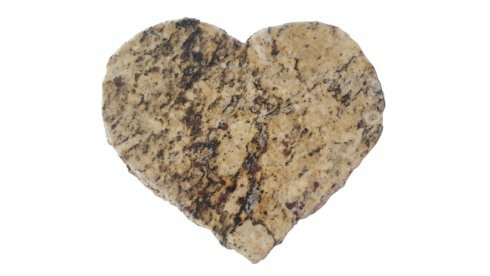 Instead of dumpster diving, we now work with local suppliers and divert unused granite countertop from landfills before it even gets into the dumpster. 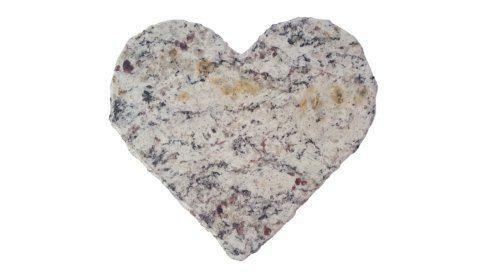 On average we divert 10,000 lbs of granite per month and hope to divert tons (literally) of granite as the business grows. 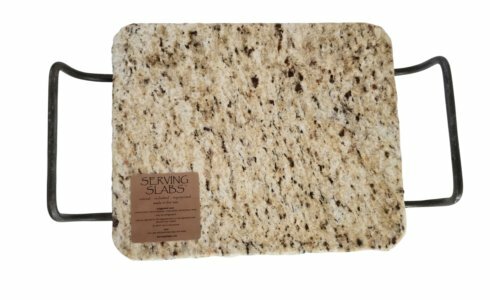 We repurpose the discarded granite into beautiful household items such as serving trays, platters, cutting boards, lazy susans, candle holders, trivets, coasters, table runners and cake stands, with new products coming out regularly. With the variety of different colors and graining, no two pieces are alike. 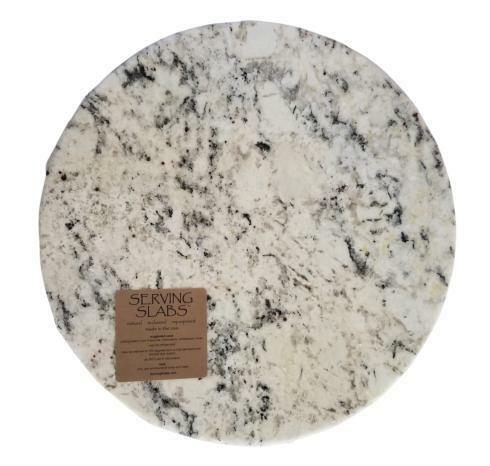 We then chisel the raw slabs each into a unique shape usually determined by the natural characteristics of the stone. In addition to our core business, living in a small community allows us to give back and make a bigger difference locally versus a big city. We have employed several people since moving to Salida, and donate our work to multiple charities raising funds for local organizations and families in need.